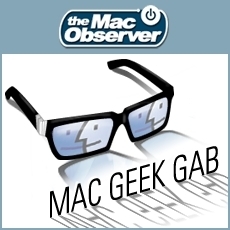 Today’s show features your two favorite geeks, Dave Hamilton & John F. Braun, first sharing some tips about managing your iCloud backups (and how to exclude items from them) and seeing — and controlling — which graphics card your Mac uses. Then it’s on to ansewring listener questions about manipulating hidden startup items, iWeb hosting alternatives, battery issues and much, much more. Support your two favorite geeks’ efforts and subscribe to Premium today! It’s just US$25 for 6 months, getting you two extra episodes permonth. Subscribe, download, press play and enjoy.